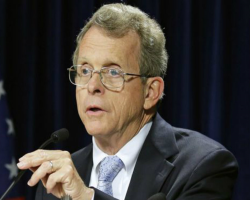 Did Fiat’s Marchionne Ask For A Payoff To Keep Wrangler In Toledo? The Wrangler, the best selling nameplate for Jeep, which has been produced in Toledo Ohio for decades, might be produced elsewhere. Fiat Chrysler (FCA) owns Jeep and at the end of last year CEO Sergio Marchionne indicated that it might move Wrangler production due to changes in the model planned for 2017. 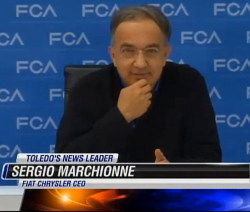 On Monday, Marchionne pretty much asked for a payoff in order to keep the Wrangler in Toledo. This entry was posted in Politics, Progressive and tagged auto industry, economics, extortion, Fiat Chrysler, Jeep, Ohio, Sergio Marchionne, Toledo, Wrangler on January 15, 2015 by Doug. I was checking out the Toledo Blade today and stumbled onto an article talking about the trouble caused by consolidating the US Postal Service’s Lima sorting center with the Toledo operation. The article quoted Congressman Jim Jordan who represents the district that was served by the Lima center. Unfortunately he, like many Americans, falsely believe the postal service is supported by direct tax payer dollars. “When it comes to government consolidation, streamlining, and saving money, we’re all for it. In fact, we’ve been one of the loudest voices in Washington for finding ways to save federal money,” said Ray Yonkura, Mr. Jordan’s chief-of-staff. But when the congressman’s office began getting flooded with calls from constituents about erratic mail delivery after the consolidation, he stepped in. Mr. Jordan asked the Office of Inspector General to review the consolidation to reveal what went wrong, whether the hundreds of complaints his office received were legitimate, and what could be done to fix things. Congress does have oversight of the postal service but it hasn’t been supported by tax dollars since 1970. Until adoption of the Postal Reorganization Act of 1970, the U.S. Postal Service functioned as a regular, tax-supported, agency of the federal government. In 1982, U.S. postage stamps became “postal products,” rather than a form of taxation. Since then, The bulk of the cost of operating the postal system has been paid for by customers through the sale of “postal products” and services rather than taxes. So Jordan’s effort to score political points took a hit on this issue. This entry was posted in Politics and tagged consolidation, Jim Jordan, Lima Ohio, mail, sorting, tax dollars, Toledo, Toledo Blade, US Postal Service on March 6, 2011 by Doug. The Toledo Blade had an article today giving an obituary for the Sports Arena. Toledo is going to build a new 8,000 seat arena downtown and the owners of the Sports Arena sold it to the city and it is due to be torn down in the next few months. Built is 1947, it was already old when I got to see my first concert ever in the mid 80’s. My friend talked me into going to the concert by Brian Adams since I had use of a car and he didn’t. The problem was my Mom refused to let me go. She didn’t want me driving the 40 miles to Toledo. Like any teen, I didn’t take no for answer. I fed her a story that I couldn’t go anyway because I had to work that night. In reality I got the night off. My friend had real religious parents so he also got the night off work but told them he had to work late. We stopped at the rest stop outside of Bowling Green to change to regular clothes and arrived at the arena shortly before the concert. The parking lot was full so we found a spot at a nearby school and practically ran to get to the place. We got inside as the opening act Survivor was on stage. This was my first concert so I assumed we had seats on the floor. I found out that we were on the floor but there were no seats. We stood in the back for the entire show. I had a good time, even after just being missed being hit but a pop thrown from someone who actually had a seat in the stands. The one other time I remember going to the Sports Arena was for a circus when I was a boy. All I remember was the animal smell mixed in with the smell of straw. It was a fun time. This entry was posted in Culture, Life and tagged Brian Adams, change, concert, Toledo, Toledo Sports Arena on July 22, 2007 by Doug.